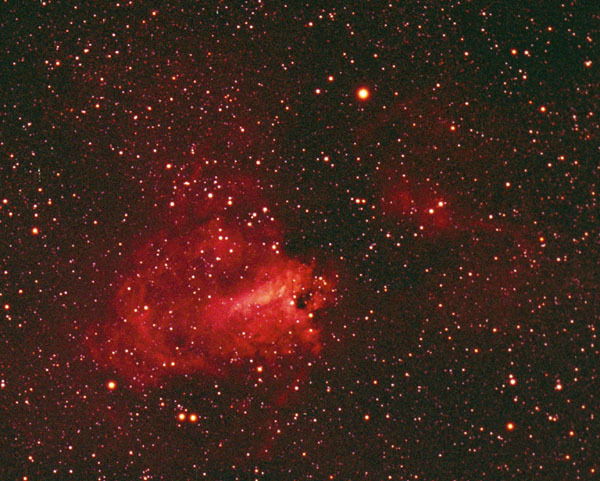 Also check out my Astro Accessories page! 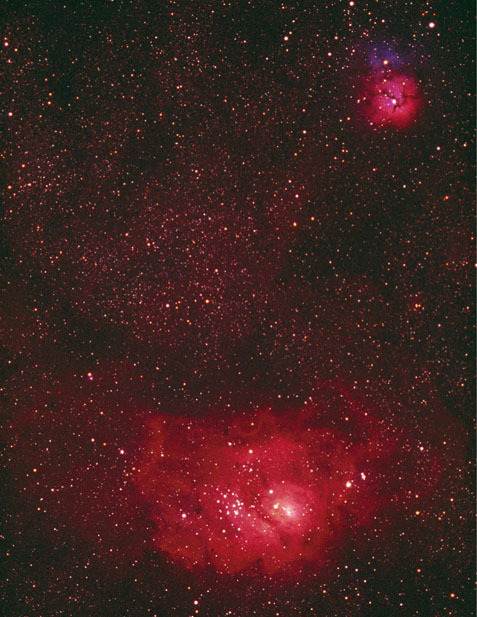 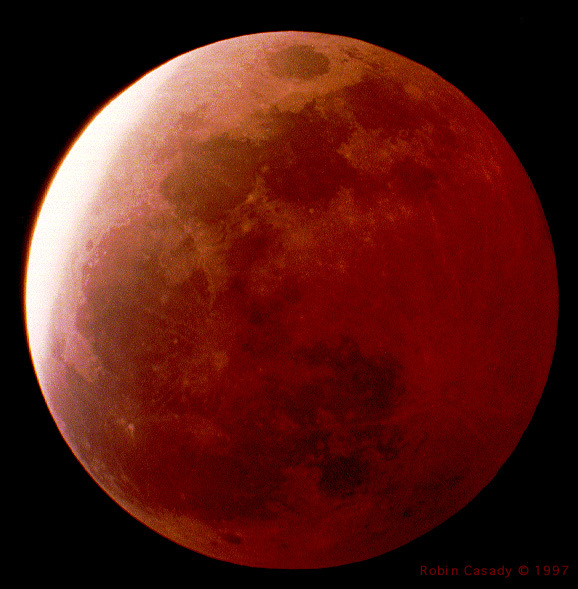 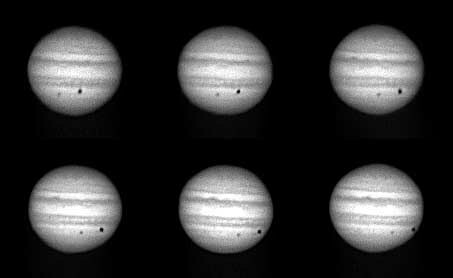 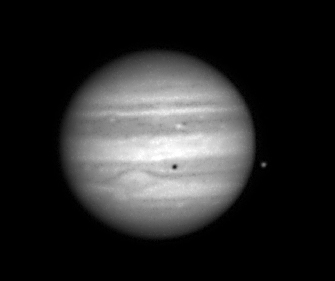 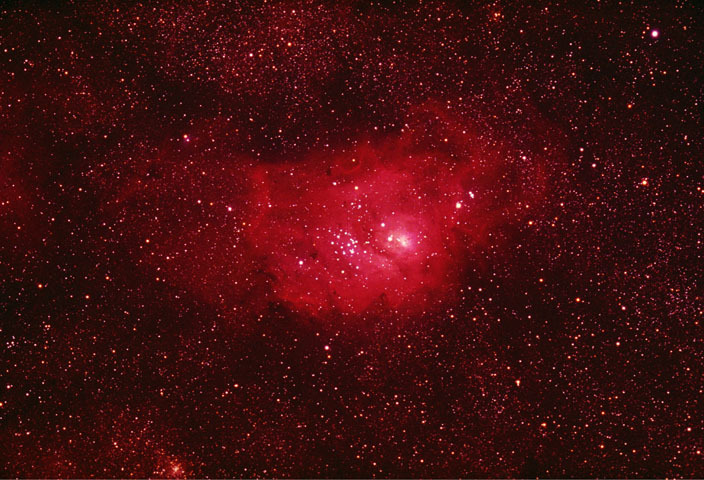 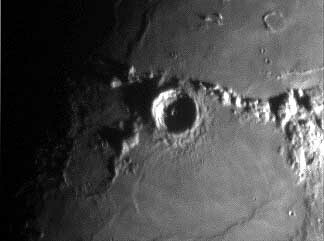 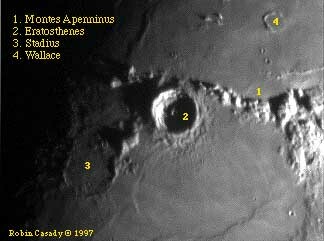 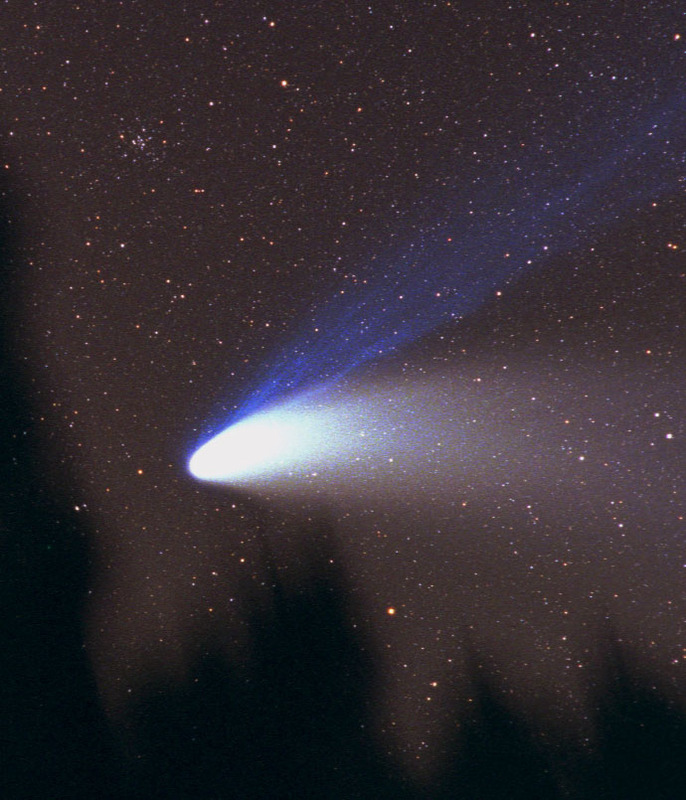 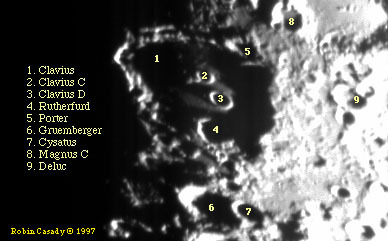 Taken from Tularcitos observatory, Saturday, July 18, 1998 with a 130EDFS, Kodak PJM, 1 hour @ f/6, hand guided by Arthur Babcock and Robin Casady. 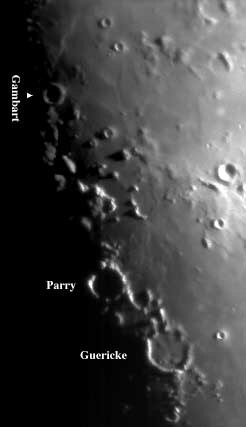 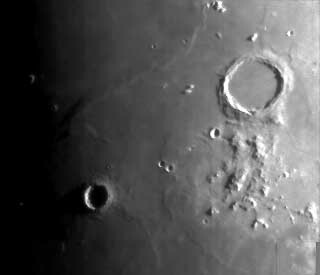 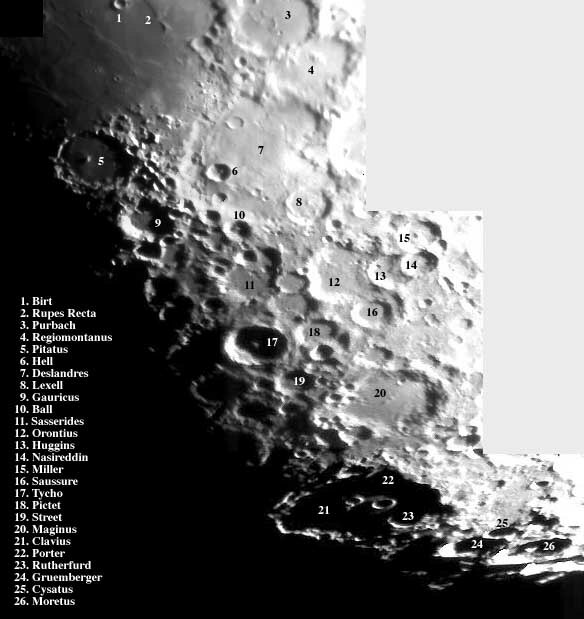 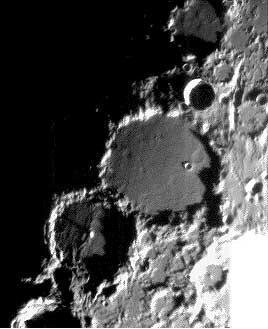 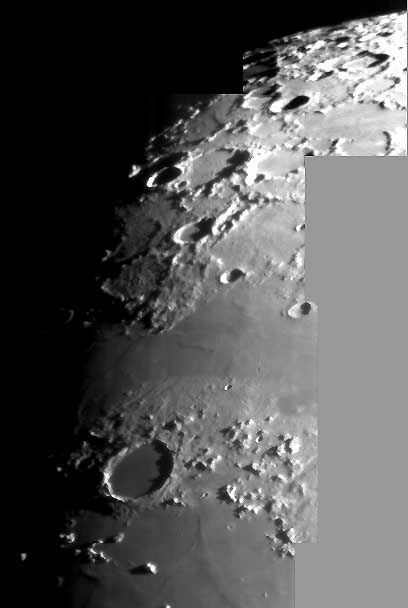 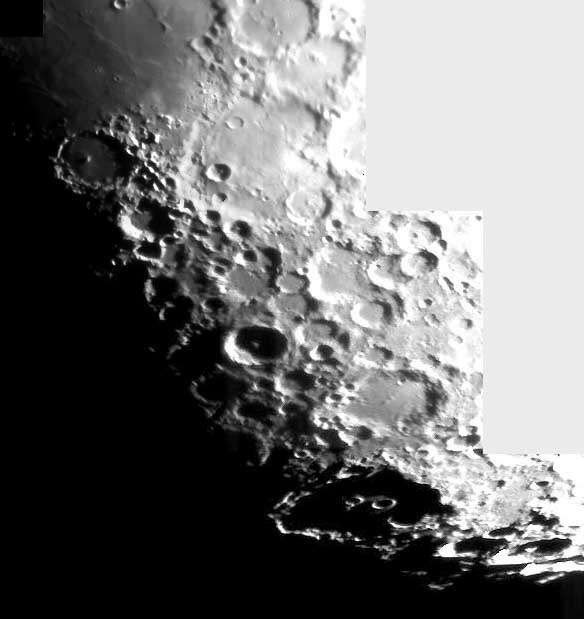 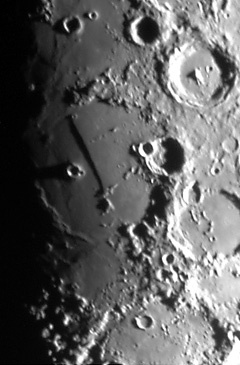 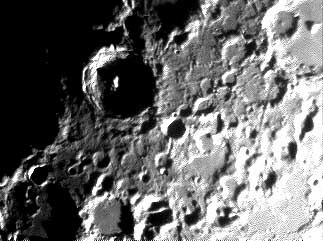 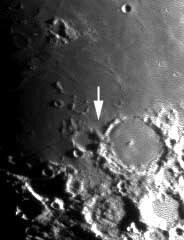 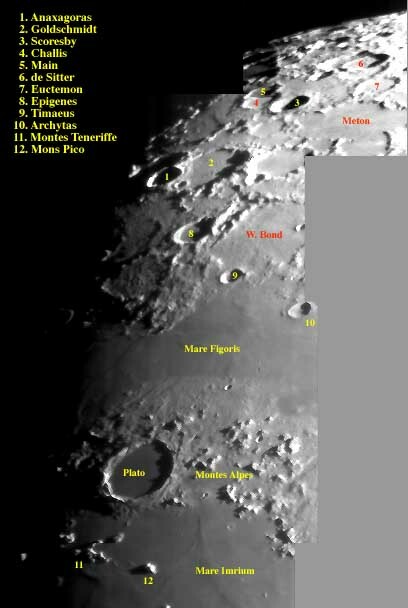 One of the rilles of Rimae Mersenius is visible in the larger image. 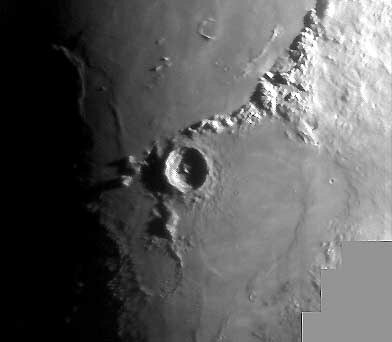 Sunlight streams through a gap in the crater wall to cast a ray on its floor.